Home » Bankruptcy » Are there Credit Counseling Requirements in a Missouri Bankruptcy? If you are facing an overwhelming pile of debt, you may be considering bankruptcy as a possible solution. However, federal and state laws require that you take certain steps before you are able to file for Chapter 7 or Chapter 13 bankruptcy in Missouri. For example, in the 180 days prior to filing your bankruptcy, you must have completed a government-approved credit counseling course. Even if there is no approved agency in your geographical area, courses are usually available online or over the phone. A credit counseling program is meant to help assess your situation and see if a structured repayment plan outside of bankruptcy will help your financial situation. Even if your monthly debt requirements highly outweigh your income, you must go through the credit counseling process. 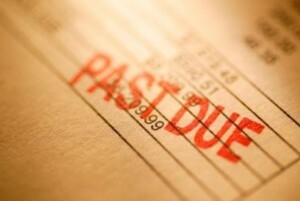 In some cases, the credit counseling agency may come up with a feasible plan to repay your debt over time. Though you are never required to agree to the credit counseling agency’s budget and repayment plan, you will be required to file the proposed plan with the bankruptcy court. There is always the chance that the court may use the repayment plan as a reason to doubt the legitimacy of your bankruptcy filing. In such instances, it is highly important to have an experienced Missouri bankruptcy lawyer to argue for your case. Going through credit counseling is not fun for anyone, especially if you already know that your financial situation will not be solved by careful budgeting or repayment plans. An experienced bankruptcy attorney can help to make the process as painless and simple as possible and help ensure you complete all the steps necessary to successfully complete you bankruptcy. 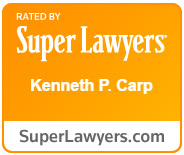 If you need help, call the Law Office of Kenneth P. Carp at 636-947-3600 today for a free consultation.